Snap-shot gallery of images from two days of fishing on the Sol Duc River near Forks Washington on March 25th and 26th, 2006 (Hatchery to Maxfield's drift.) 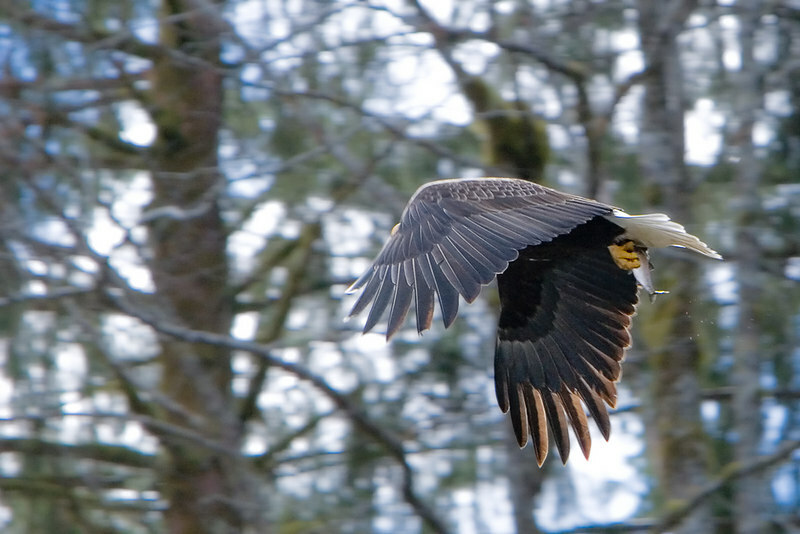 Images include a large buck steelhead, underwater steelhead shots, and a fish catching bald eagle. With the exception of the first eleven images which have been individually post-processed, subsequent images have been cropped and batch processed for display on the web. All files are Copyright © 2006 J. Andrew Towell Please contact me at troutstreaming@gmail.com to negotiate for any and all usage rights.